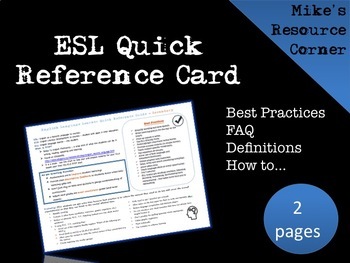 Are you new to teaching ESL. Do you have ELLs in your Classroom. This guide will answer your questions so you can be successful.